Jayden Starr performs at the 2018 Salisbury Pride. LGBTQ Pride celebrations have been held in North Carolina’s major cities for decades. But they are much less common in the state’s small cities like Salisbury. The city was built along the state’s first major railroad. It was poised to grow as one of the state’s largest transportation hubs and had an industrial-based economy for many years. It’s also home of the beloved North Carolina soft drink, Cheerwine, and the regional grocery chain, Food Lion. Today, Salisbury is a quiet, close-knit city. Locals walking downtown often run into several friends and neighbors, and know the main street’s business owners well. This year, Salisbury Pride’s sponsors donated more than $25,000 to help make the event possible. And the festival was bigger than ever, with organizers estimating as many as 7,000 people attended the one-day festival. 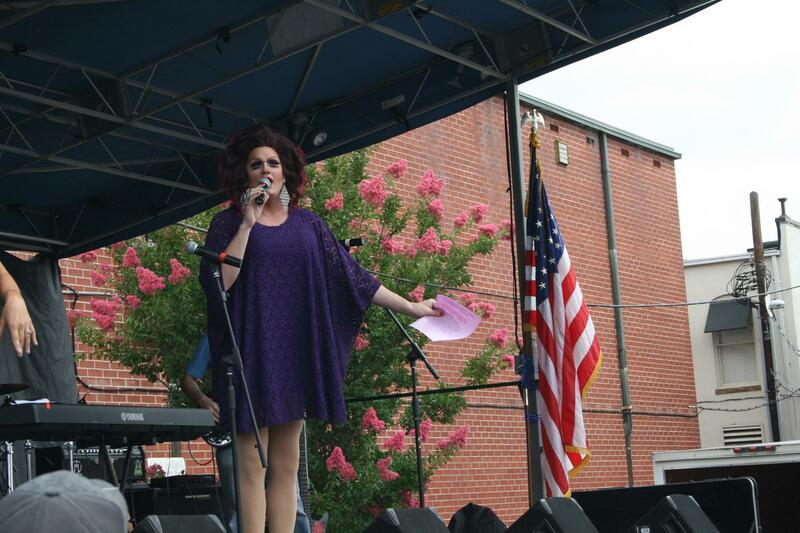 Food trucks and vendors lined Fisher Street, and energetic drag performers took to the stage. 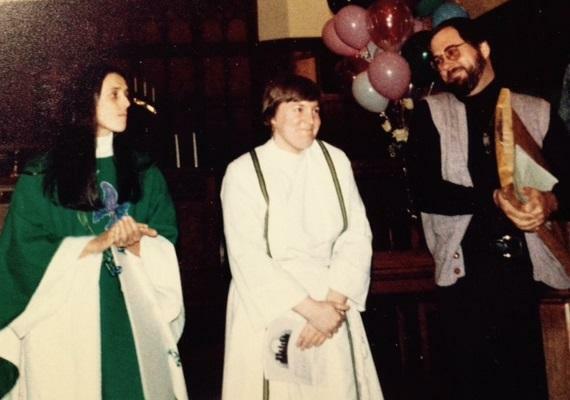 When Beth Meadows, president of Salisbury Pride, moved here in 1989, she couldn’t have imagined an LGBTQ pride celebration in Salisbury. 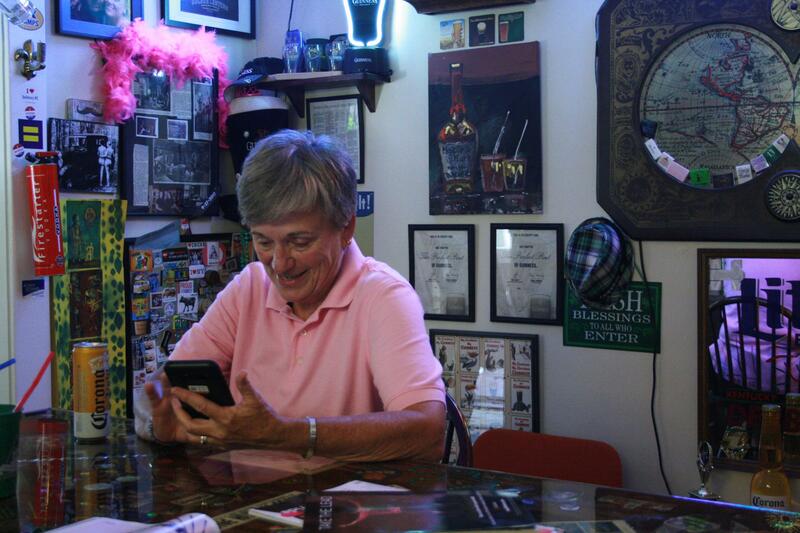 Beth Meadows sits in a friend's house the day after Salisbury Pride, looking at pictures from the previous day. Salisbury Pride started eight years ago through PFLAG, a support group for families and friends of LGBTQ people. Mike Clawson is Salisbury PFLAG’s chapter leader, and he didn’t see a reason not to have a pride parade. After two years of negotiating with the city government about who should host the pride event, the Salisbury Rowan County PFLAG chapter hosted Salisbury’s first pride festival in 2011. On the day of the first Salisbury Pride, tensions ran high between participants and protestors. Meadows estimated that close to 100 people arrived to protest the event. Another challenge for that first pride celebration was paying for it. Salisbury organizers pulled off the first event with just $2,500. Donations for the first pride came from individuals and small businesses, as well as corporations. A few members of the Salisbury Pride board worked at two significant local corporations, Frito Lay and Food Lion. Frito Lay chipped in to sponsor Salisbury Pride, and so did grocery giant Food Lion, which has its corporate headquarters in Salisbury. 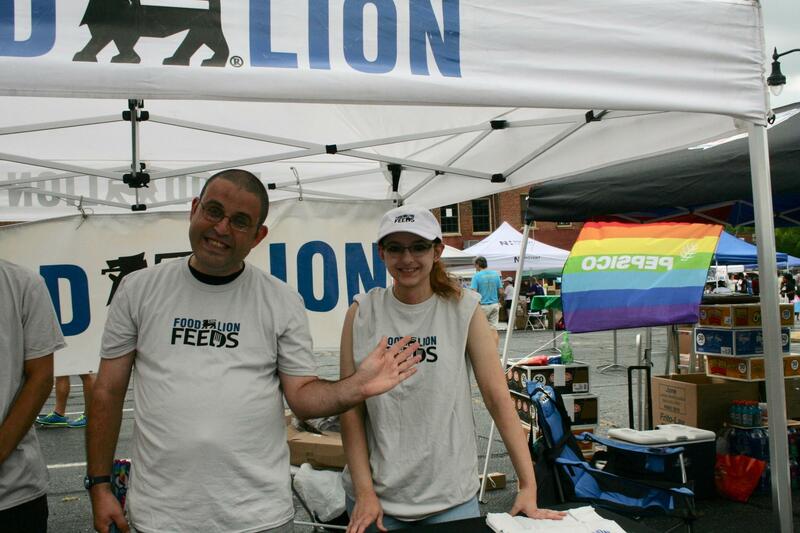 Two Food Lion employees smile from the booth during the 2018 Salisbury Pride. Even though sponsorships from these hometown corporations were vital to getting Salisbury Pride off the ground, some LGBTQ activists across the country are wary of accepting corporate sponsorship. Fletcher Page, LGBTQ Resource Navigator for the Campaign for Southern Equality, questions corporate motivations. Page believes that a corporation’s sponsorship of pride might not be a reliable measure of that company’s LGBTQ inclusivity. Instead, he believes, inclusivity means showing up for the LGBTQ community after Pride is over. And he suggests that companies focus on teaching skills that LGBTQ people need to survive, such as offering free classes on applying for loans or budgeting. Food Lion’s support of LGBTQ issues has evolved over the years. And like many corporations, the company recently implemented new diversity and inclusion efforts. Today, Food Lion facilitates a group for their LGBTQ employees. One member of the Salisbury Pride board, Maryja Mee, is chair of Food Lion’s Friends Business Resource Group and believes the company has good intentions. Food Lion did not respond to WUNC’s requests for comment. MC of the events, Delighted Tobehere, kicks off the events at Salisbury Pride 2018. In a small city like Salisbury, finding the funds to sustain long-term LGBTQ organizing can be difficult. 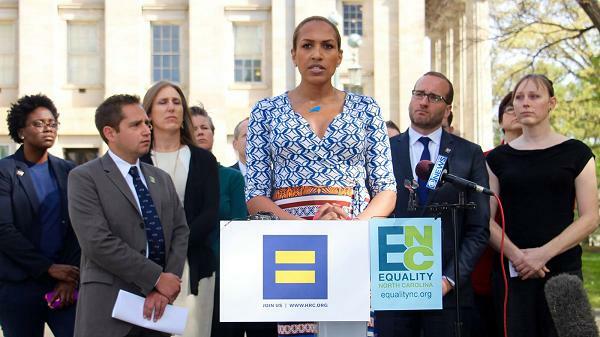 Reverend Jasmine Beach-Ferrara, the Executive Director of the Campaign for Southern Equality, says that there is a lack of resources for LGBTQ organizing in small cities and towns in the South. Beach-Ferrara explained that finding funds for Salisbury Pride is very different than fundraising for San Francisco Pride, or even nearby Charlotte Pride. She says that rather than asking whether taking funding from corporations is the right thing for LGBTQ organizers, we need to think about what it takes to make LGBTQ organizing work in long-term in the South and in communities beyond major urban areas. Beth Meadows says she has seen Salisbury become a safer and more accepting place for LGBTQ people over the past eight years. “I think we as Salisbury Pride have made that happen in our community where people can feel safe being themselves,” Meadows said. LGBTQ individuals have long been pushed out of religious and spiritual communities, but that has not made all of them lose their faith. In fact, many LGBTQ folks have taken on leadership roles to advocate for and heal their communities. Candis Cox was working as a representative with American Airlines at the Raleigh-Durham International Airport when she was thrust into the role of political activist. Cox is a transgender woman, and after the passage of North Carolina House Bill 2, she was told she could no longer use the bathroom that aligned with her gender identity. 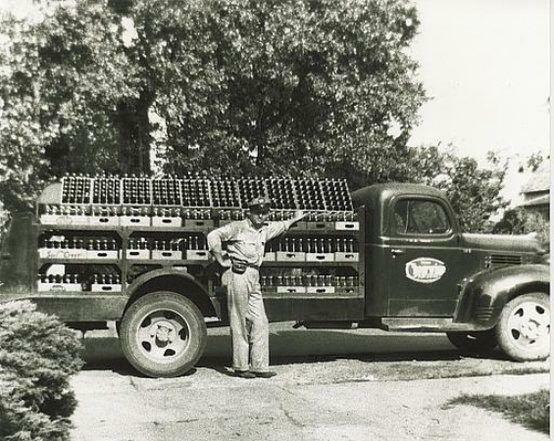 It’s a big year for Cheerwine, the cherry-flavored soda with a cult-like following that has been run by the same family for 100 years.